Bar, spirit, beer, and cocktail reviews around Houston and beyond. A cocktail a day: now that's living. Spirit Review: Balcones Texas Single Malt Whisky (... 0 Votes Up! Drinking Houston Bar Review: Springbok South Afric... 0 Votes Up! Drinking Houston Bar Review: Harold’s Tap Room 0 Votes Up! Use Aquafaba in the Got to Be Kidding Cocktail 0 Votes Up! The Summer Rain Swizzle 0 Votes Up! Spirit Review: Herradura’s Ultra Anejo and the Her... 2 Votes Up! The Herb Alpert cocktail 8 Votes Up! Father’s Day Guide 2016–It’s June 19, remember? 8 Votes Up! 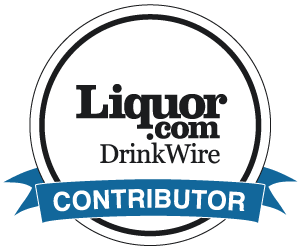 Spirit Review: Milagro Tequila 2 Votes Up! The Barnum (was Right) Cocktail: gin, apricot liqu... 10 Votes Up! The Cantaloupe Smash! cocktail: Cantaloupe, rum, A... 5 Votes Up! The El Jimador Texas Margarita Trail event and how... 4 Votes Up! The Lounge Machine Cocktail: Lillet, cognac, Horni... 2 Votes Up! The new Four Seasons Houston Spa Menu (now with li... 2 Votes Up! Mixing with Tekeen’s Passion Fruit Lime Premium Wi... 1 Vote Up! Spirit Review: Troy and Sons Platinum Whiskey and... 2 Votes Up! Repeal Day cocktail: The Pendennis Club: gin, apri... 4 Votes Up! Spirit Review: Hochstadter’s Vatted Straight Rye W... 1 Vote Up! Bar Review: Songkran Thai Kitchen 4 Votes Up! Neli and Beidi’s coconut water cocktails, part 1:... 2 Votes Up! Beer Review: Rahr and Sons Pride of Texas Pale Ale 1 Vote Up! Hudson Whiskey’s 10th anniversary, Ralph Erenzo, a... 1 Vote Up! Skyy Texas Grapefruit and the Sundance Cocktails 1 Vote Up! Spirit Review: Hornitos Spiced Honey and the Texas... 2 Votes Up! Beer Review: Sierra Nevada’s Hop Hunter IPA 1 Vote Up! The Gamberi Cocktail: Smith and Cross rum, Campari... 7 Votes Up! Scotch Review: Ledaig 10 Year Single Malt 0 Votes Up! The Fogerty Cocktail from ABV: rye, Campari, cacao... 4 Votes Up! January 15-18, 2015: The San Antonio Cocktail Conf... 0 Votes Up! Drinking West Texas: Marfa 0 Votes Up!